You want to have your premises secured properly and not always have to sleep with one eye open. Alarm systems with a connection to a central monitoring station may be costly. Therefore, we offer you the opportunity to be your own control room. With our service microLARM you save on security costs and you have full control over your alarm system at home or away. 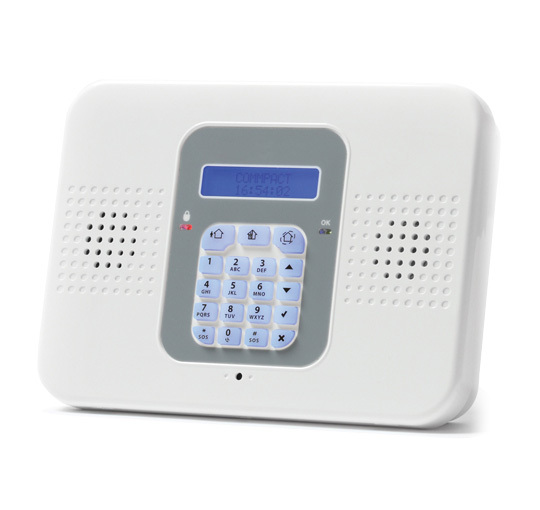 A perfect alarm system for your business. Our service microLARM allows you to remotely manage your alarm system. Via your computer or handy mobile app you can switch the alarm on or off at the push of a button. For example if your employees need access to the property when you are not there. When motion is detected by the sensors, you will automatically be notified, for example, on your mobile phone. Our sensors detect not only movement but also heat, smoke, gas, carbon monoxide and even water leaks. We discuss with you what the best security solution is for your business and implement your security network. 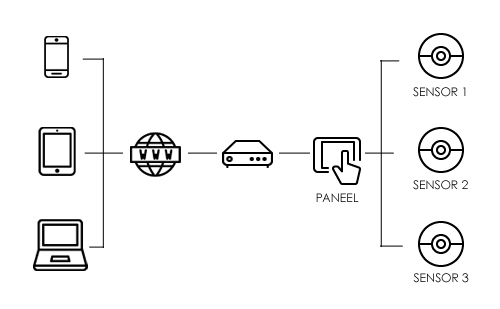 microLARM integrates seamlessly with our other services such microCAM and microNET. In case of a disaster event receive a message/push notification/call on your smartphone, so you can take immediate action. Notification of movement, heat, smoke, gas, CO and water leaks. 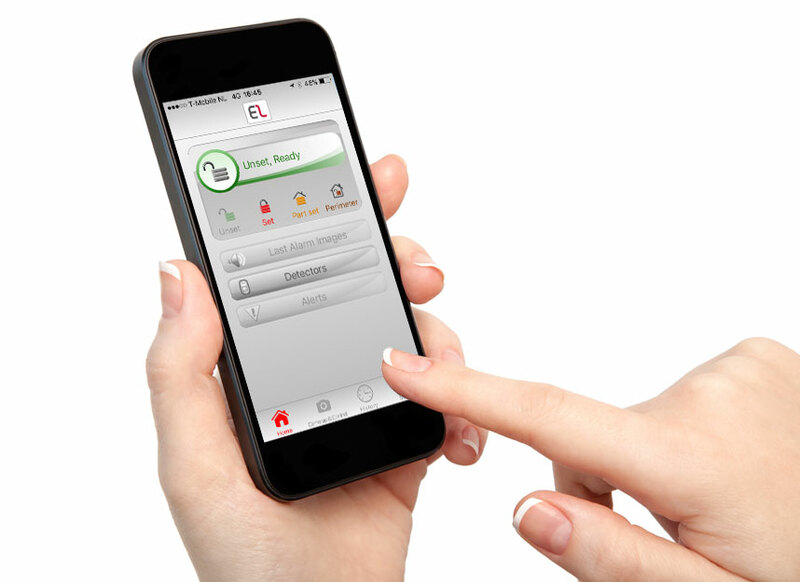 You have the management of your alarm system literally in your own hands with the Electronics Line app. microDOT works with hardware of the highest quality. Using sensors/detectors and control panels from brands like Electronics Line, we are able to realize the best IP alarm system for you.